What does a simple little acorn have to do with the afterlife? Several years ago when I first began to meditate, I used the image of an acorn in my mind’s eye to eliminate all thoughts and focus on nothingness. Little did I know that, one day, this process would accidentally land me in the fascinating world of the dead. 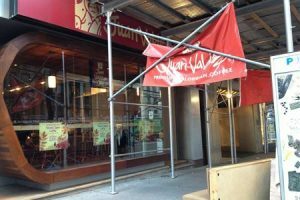 During a delicious breakfast at the Juan Valdez Cafe, I remembered that I had had an overly realistic dream the night before. 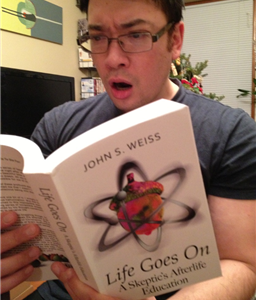 That marked the beginning of my series of Afterlife adventures. From then on, I would reminisce about my previous night’s dream each morning over a mug of rich Columbian coffee. When my nightly journeys had almost come to an end, I spent most of my time at Juan’s writing my book. 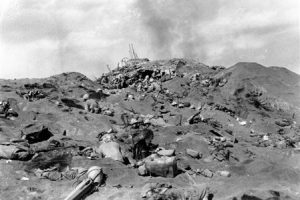 This is where and how my afterlife experience began: dreaming about the terrible WW2 battle of Iwo Jima that took place in early 1945. I was introduced to Lyle while nervously crouching in a bomb crater. Little did I know, I had accidentally tunneled into a memory-derived re-enactment of that fateful battle. 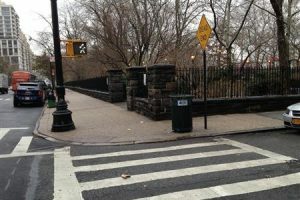 This is the entrance to Manhattan’s Carl Schurz Park located on 84th St and East End Ave. The traffic lamp post, garbage can, and gutter play vital rolls in my experience. This is where I accepted the strange fact that my consciousness was traveling while I was asleep. 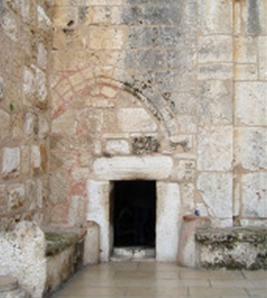 This is the historically-significant Door of Humility at the Church of the Nativity in Bethlehem. Lyle and Betty lectured me about religion at this very spot. It’s also where I experienced the most horrific nightmare I’ve ever had! Mohonk Mountain House, one of my favorite places in the world, was the scene of some intriguing discussions with Lyle and Betty. 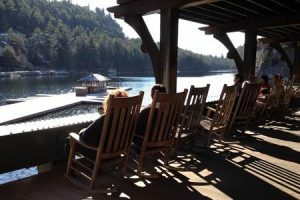 We sat in the rocking chairs you see here, overlooking beautiful Lake Mohonk. 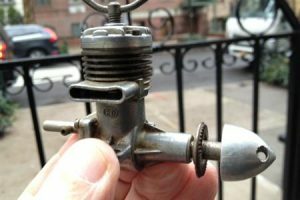 My grandparents got me this model airplane engine in 1959, and I’ve managed to hold onto it ever since. What in God’s name does this have to do with the afterlife, you ask? Well, it powered a small model plane I flew in during one of my dreams. What an unbelievable experience that was! During one of my most informative, let alone exciting, excursions into the afterlife, Lyle taught me how to exploit the universal memory bank and create a totally realistic car. This photo is precisely what the 427 Cobra looked like that we constructed and drove, based on my memories of Cobra photos, Cobras I had seen in movies and on the street, my own memories of driving sports cars, and the combined memories of actual Cobra racers. This impossible experience was beyond thrilling. Somehow, I know that when I finally pass away, this car will be waiting for me to drive into eternity. That’s my son-in-law being overly dramatic.